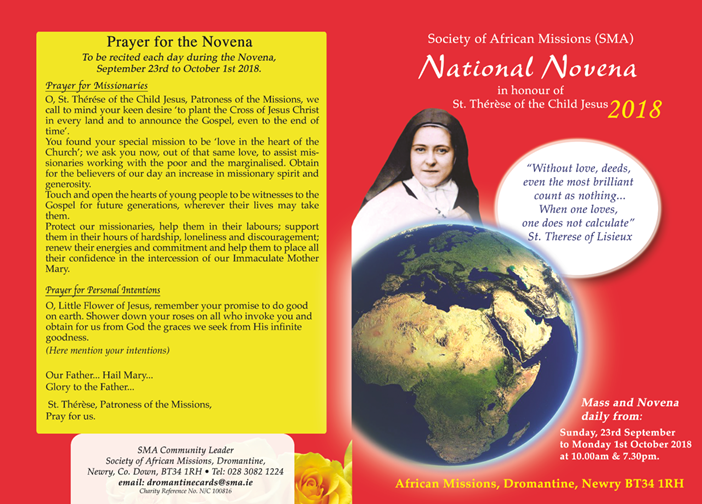 The Society of African Missions (SMA) 2018 National Novena in honour of St. Thérèse of Lisieux of the Child Jesus – Patroness of the Missions – is underway at both at St. Joseph’s SMA Church, Blackrock Road, Cork, and at the Society of African Missions, Dromantine, Newry, Co. Down. Mass and Novena at 10:00am and 7:30pm. 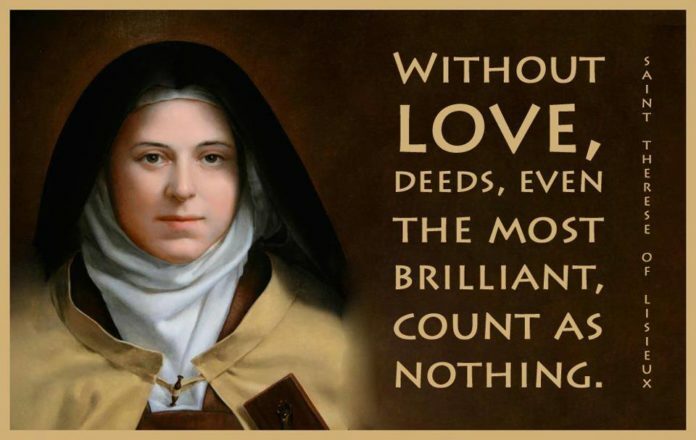 This year we are asked to remember in a special way Fr. Pierluigi Maccalli SMA who was abducted last week in Niger by suspected jihadists and whose whereabouts are unknown. 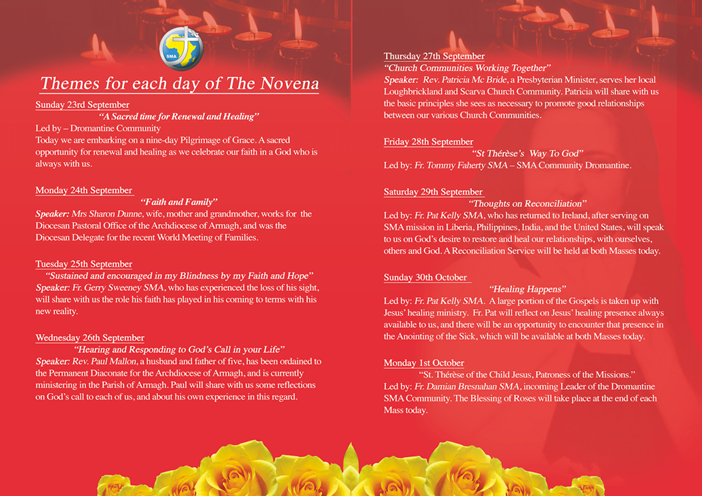 Details of the Cork Novena are available by clicking here.